Big Fat Scottish Tweet Up [Preview] and Thanks ! If you were anything to do about Weddings in Scotland, and a bit of a Twitterholic like me, you attended the Big Fat Scottish Tweet Up on Wednesday night at the stunning city centre venue “29“. This event, hosted by myself, Plans and Presents and in collaboration with “29”, was an incredible opportunity for scintillating chat, unrivalled networking, sparkling entertainment and lots of fabulous refreshments, and all manners of yumminess and was attended by 80 of Scotlands top suppliers. It was also a chance to put some faces to twitter names, and meet some new friends in the wedding industry and also a great opportunity to raise some money and show appreciation for the wonderful charities Maggies Centres and Jo’s Trust. The Blog to the reason they were chosen is HERE. For each attendee there was also a fantastic Goody Bag, filled with incredible treats by some outstanding suppliers and some joking about in the Photobooth [ the results of which should be pretty entertaining]. Here are just some personal images taken by me of the Set up/Styling and a few of the evening itself. And last of all a teeny bit of me. 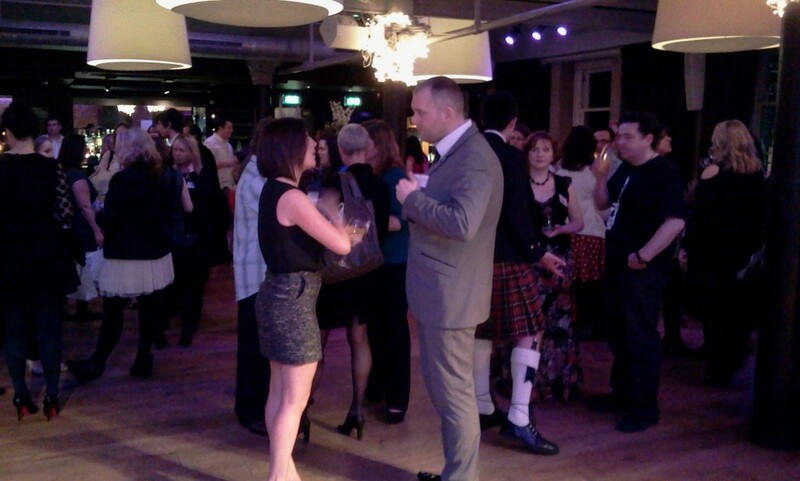 However without the fabulous Venue “29”- @29Glasgow @29_weddings, there wouldn’t have been the Tweet up. I was really lucky to work with David Smith, who is not only a real laugh but a very focused and lovely individual. 29 Private Members Club occupies 2 floors of stunning 19th Century blonde sandstone premises in the hub of Glasgow’s vibrant cosmopolitan capital. The area is internationally renowned for its spectacular architecture, contemporary shops, museums and art galleries. At the last event we were in the chic Network Bar but this time we moved into the very plush Supper Club which was warming and spacious. Rosie Woodhouse of Little People Portraits Skye was on hand to capture all the excitement on film. I saw some of the previews on the night and they are outstanding. Rosie specialises in creating beautiful photographs with children of all ages that capture the spirit of your child and the beauty of our landscape. She is also delighted to schedule family, portrait and pet photo sessions. New in 2011 were Maternity and Rock the Frock photo shoots and Wedding Photography. Based on the beautiful Isle of Skye, she is very happy to travel further afield. The incredible Candy Buffet was brought together by Julie Le Blanc Smith of Julies Candy Cart– @juliescandycart The sweeties looked amazing in their shiny glassware and tasted delicious. The cart was handcrafted by her husband for their Wedding last summer. The Cart is a stand alone Centre piece and can be colour co-ordinated to any Event. 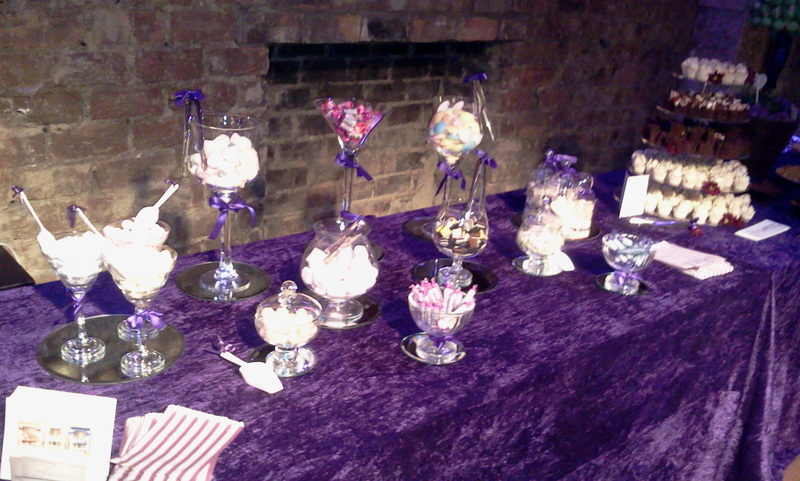 The fabulous Dessert Bar was a group effort. There was incredible mini cupcakes and brownies by Nikki McCourt of Cup Couture @cupcouture Cup Couture create stylish, elegant and refined cupcakes tailored exclusively for the more discerning palate, and are baked fresh to order using real fruit compotes, homemade caramels and the finest chocolate Ganaches. Lindsay Rao of Sixpenny Blue @sixpennyblue made the outstanding Tablet in several yummy flavours and some Coconut Ice, Beautifully presented in loveheart shapes, this went down a storm. Sixpenny Blue make beautiful handcrafted stationery for weddings and other occasions, favours, gorgeous little extras and accessories from exclusive designers for your big day and last November were winners of a Vows award for their stationery. 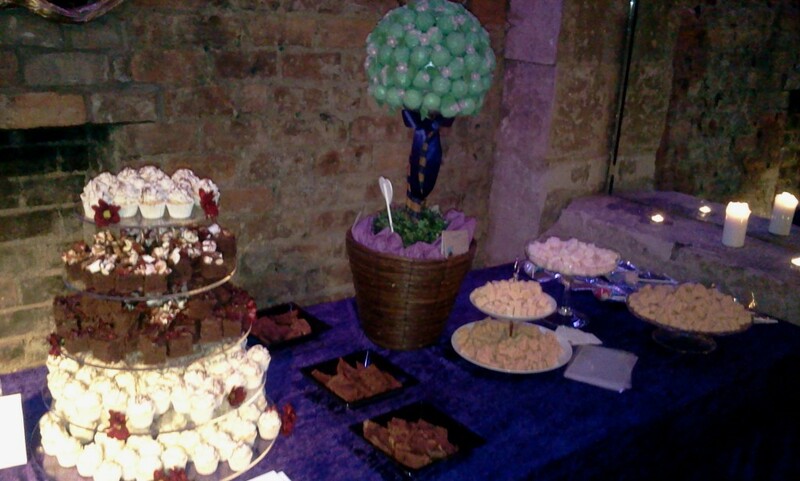 Lynsey of Custom cakes by Lynsey @customcakes1 made the outstanding cake pop tree on the Dessert Table- @customcakes1 Lynsey is a qualified Pastry Chef with around 13 years experience of working in some of Scotland’s most prestigious restaurants and hotels. She had always loved cake decorating and so decided to venture out on her own and turn that hobby into a career. She make cakes for all occasions; Weddings, Birthdays, Christenings and Graduations but who says you need a reason to eat cake. The tree was imaginative and a work of art and I loved it. Chris Dinwoodie of Top Class Magic – @magicwoody provided strolling magic and a fun addition to the TweetUp. Professional Scottish magician Woody is one of the most highly rated magicians/entertainers in Glasgow, Edinburgh and Scotland. He combines slight of hand illusions with his unique Glasgow patter to break the ice as the wedding magician, corporate magician and party magician. The wonderful name tags wereonce again made by Norlyne of Pen 2 Paper Calligraphy @calligrapher2012 Norlyne’s hand penned wedding calligraphy will give your special day or event that feel good factor from when the guests recieve their invitation through to their lovely on the day stationery. 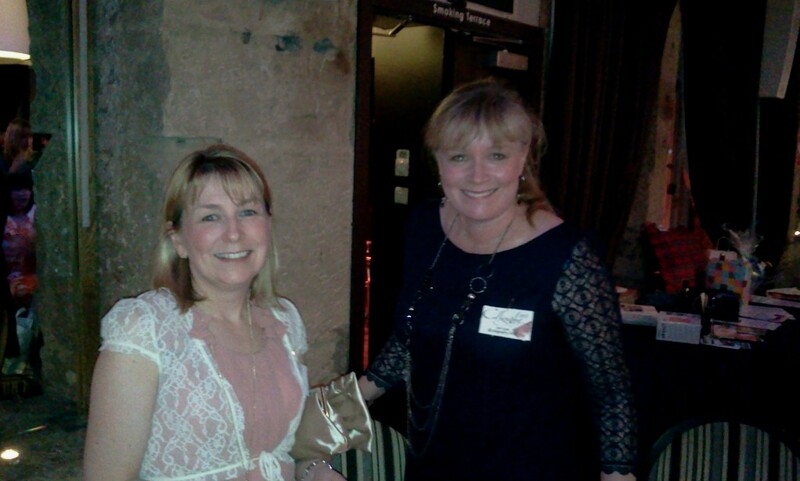 I was also grateful for her help in compering the speed networking and assisiting me in the raffle. 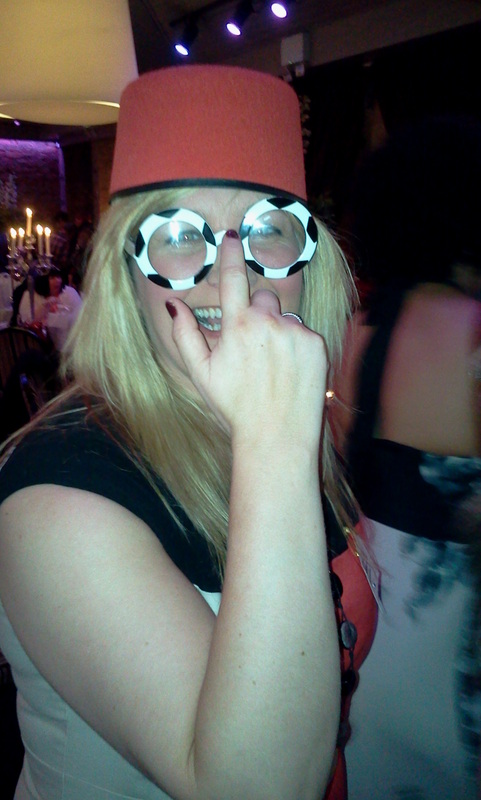 The incredible Photo booth which was so much fun and really let people let go was supplied by the fabulous Nicola Leckie of Smilebooth – @SmileboothUK Smilebooth’s instant photo booths are a unique, fun and entertaining addition to any event. They are completely portable allowing set up in any space. The booths have a fully automated, easy to use touchscreen, great lighting and professional grade photographic equipment. 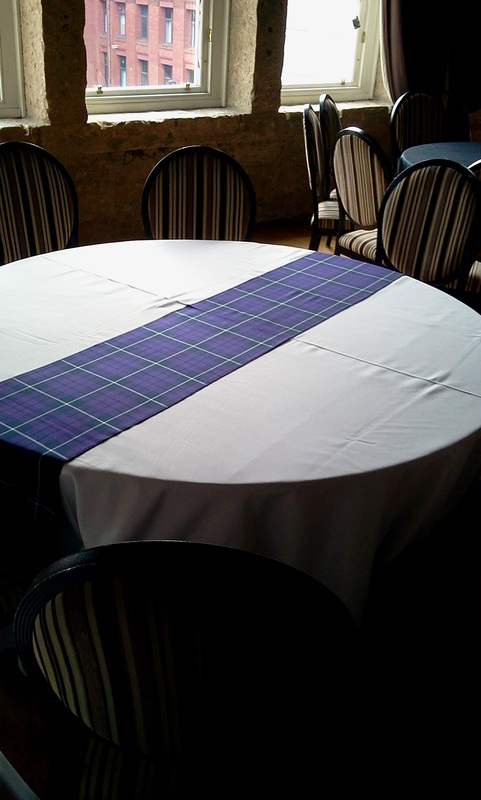 The chic tablecloths and awesome tartan table runners that added an air of sophistication and glamour and a Scottish twist were supplied by Trish McGhee at Style Linens @stylelinens. They specialise in the manufacture of high quality chair covers and linens for hire or purchase and are proud suppliers to venues, event managers and private clients. The beautiful floral arrangements were created by Di Graham of Roots and Fruits – @Rootsfruits The tall floral arrangements stood out and gave a certain boldness and beauty with the incorporation of thistles for real Scottish flavour. Roots Fruits & Flowers are a leading name in Glasgow’s West End for all things floral. 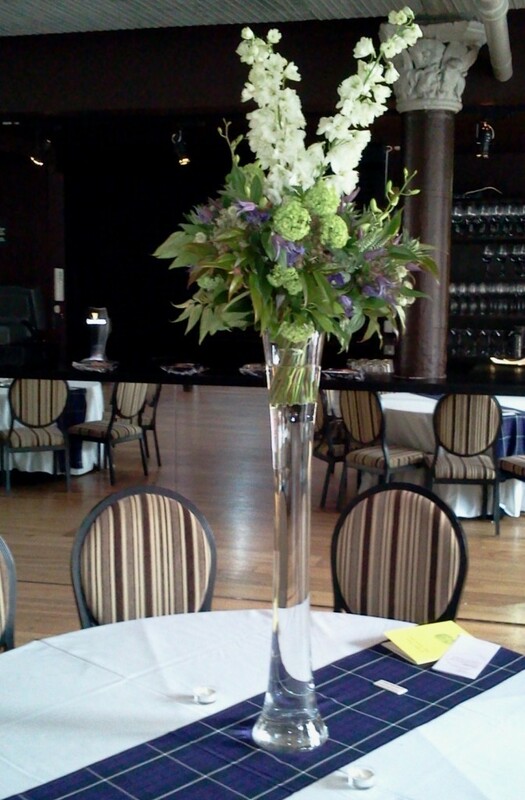 For nearly twenty years they have been suppliying their clients with stunning floral displays. The success and phenomenon of Roots Fruits and Flowers stands alone. With a passionate commitment to creating beautiful floral arrangements, specialising in unique inspired ideas that push convention and challenge tradition we create stylish contempory flowers. On hand on the evening to destress and beautify was Lesley Devlin of Lomond Beauty– @Lomondbeauty Lesley was very busy doing nails and massges for the assembled guests who were thrilled to get pampered. Lomond beauty is owned by Lesley, an HND qualified beauty therapist and she offers a range of luxurious, yet affordable beauty and wellbeing treatments in the comfort of your own home. To welcome guests to the Venue was talented Piper Fraser Porteous @scotlandspiper. I have heard wonderful reports that his fantastic Bagpiping could be heard far before you got to the actual Venue. It provided a real Scottish flavour to the start of the evening. Fraser is a young, but experienced, bagpipe player based in Hamilton, South Lanarkshire. He has been playing the pipes for seven years now, and currently plays with the “Strathclyde Fire & Rescue Pipe Band”. Fraser plays at Weddings, Funerals, Corporate Functions, Parties, Hogmanay nights and, of course, Burns Suppers. An amazing start to the evening was provided inside the venue by the Apollo Strings @Glasgowquartet. They played some relaxing background music as guests were arriving, and a set later in the evening, and were incredibly enjoyable. 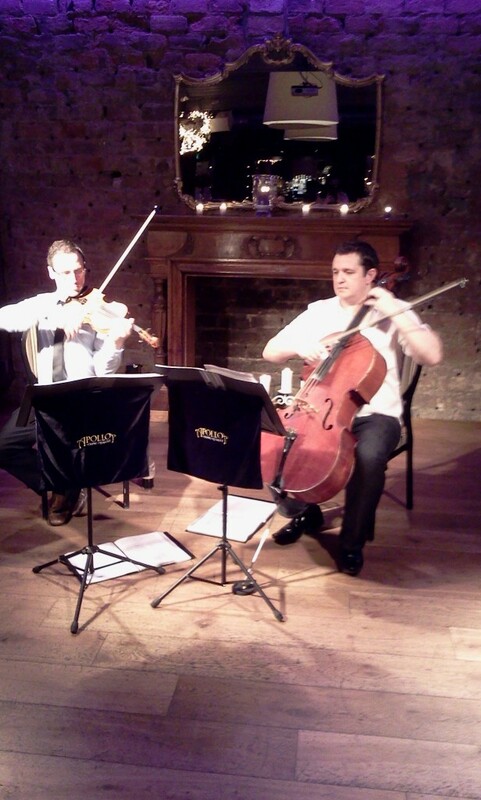 The Apollo String Quartet team, based in Glasgow, have played and worked together for years after meeting as young pups, and are now one of the busiest and best wedding and session ensembles in Scotland. The other entertainment was provided by the wonderful Pamela Kavanagh @PamelaKavanagh who was accompanied on guitar by her husband Pete. She played a 2 song set and has an incredible talent. Pamela is a breathtaking vocalist that has specialised in singing at weddings for a number of years. Pamela’s impressive vocal range allows her to draw from an extensive repertoire. She can organise any other instrumental music you are hoping to include during your service. Pamela performs with an accomplished guitarist but is happy to sing with alternative accompaniment if required. 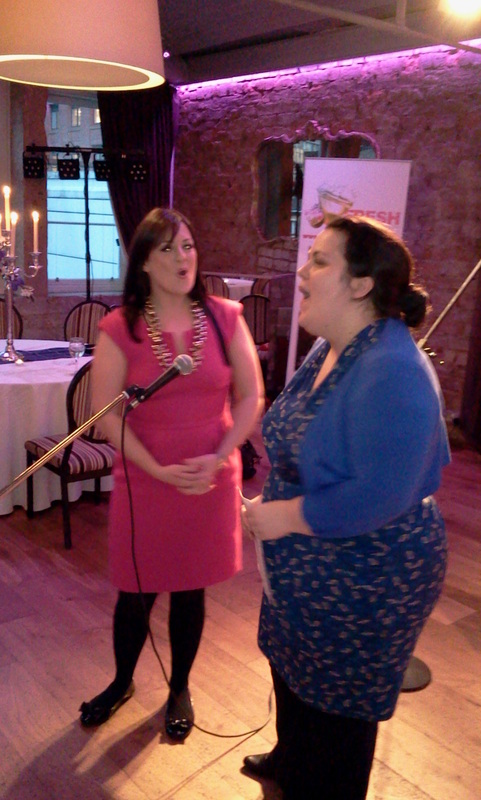 We were also treated to a beautiful duet “Panus Angelicus” from the amazing Claire Semple @weddingvocalist and Kirsty Duncan @singerglasgow who are a formidable team and individually gifted. 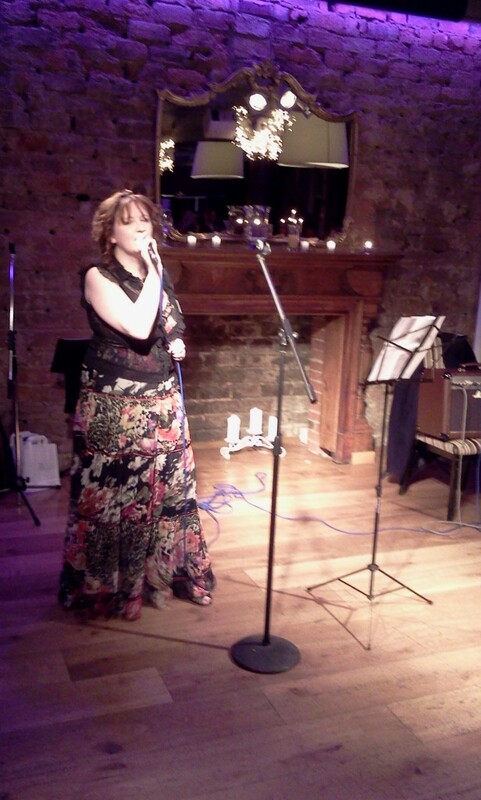 With music to suit your style and taste, Claire Semple’s passionate emotive singing will enhance the memories made during your marriage ceremony and will provide a magical soundtrack which you and your guests will treasure. Kirsty Duncan specialises in singing for Wedding Ceremonies, Champagne receptions, funerals and social and corporate events. She absolutely loves singing songs that she can make her own…she does not just sing the notes, she has a real gift in the interpretation of songs. A visual and audio account of the evening was captured by Steven of Gryffe Weddings Videography @GryffeWeddings He expertly took in all the little details of the evening and the footage of this should be coming out soon. Gryffe Weddings is a wedding videography company based in Bridge of Weir. 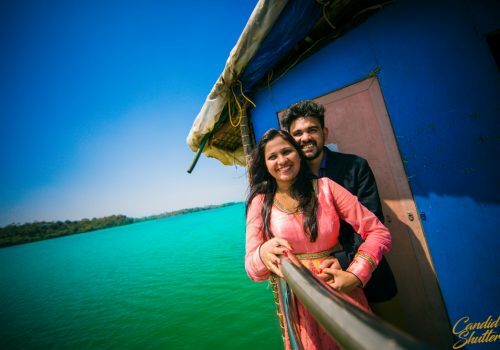 They have over 10 years experience in video production so you can be assured that your video will be produced to the highest standard with professionally captured footage.The professional wedding video packages suit whatever budget you have in mind enhanced with a touch of special motion graphics. 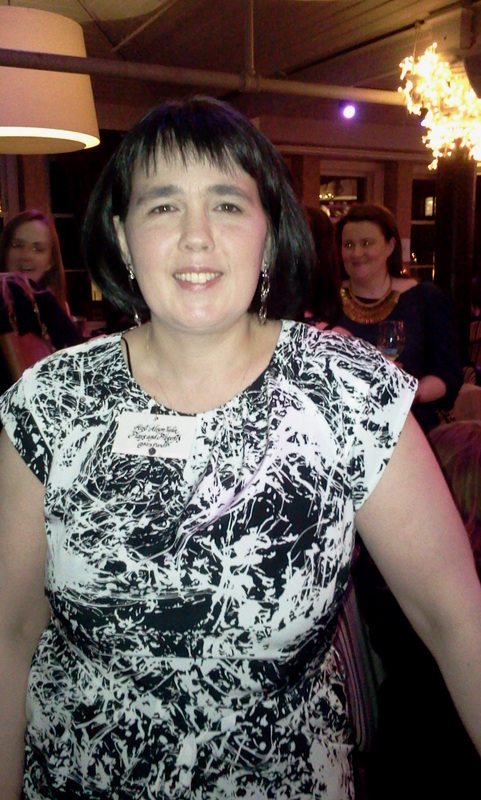 My sparkles for the evening were borrowed from the lovely Louise Graham at Wedding and Baby @weddingnbabylhg. Wedding and Baby are specialists in Vintage and Vintage inspired accessories, and can bring an heirloom to life. To round off the evening we had the brilliant Stuart of Fresh Entertainments @fresh_entertain spinning some tunes. Fresh Entertainments are a professional,quality and experienced solution for all your special occasions. Weddings, birthdays, anniversaries, corporate events and much more and believe me the moves on the dancefloor were something to behold. To save a little memory of the occasion and instead of the usual pin board for Business Cards, I thought it would be an awesome idea to use a Wishing Tree and instead of the little tags that you usually write a message on, there were little pockets for the cards. Luckily Jilly of Sticky Fingers Design @sfdstationery thought this was a great idea and provided the lovely tree. The wishing tree is adorned with genuine crystal drops and garlands can also be used as a table plan for weddings and as a favour tree. 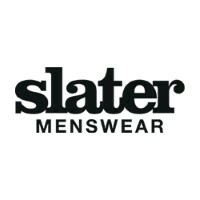 Custom designed to each clients requirements – colour scheme, theme and occasion. 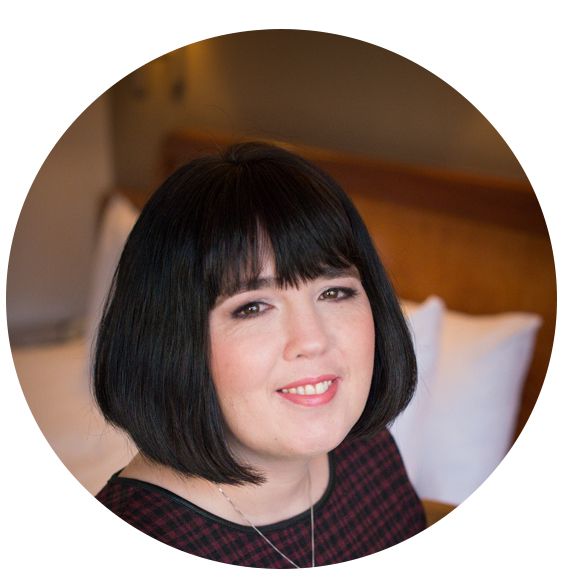 Then there’s me – Alison Tinlin – Plans and Presents – @mrspandp I orchestrated the TweetUp, brought together and organised the suppliers and styled the event [I hope I made it look pretty!] 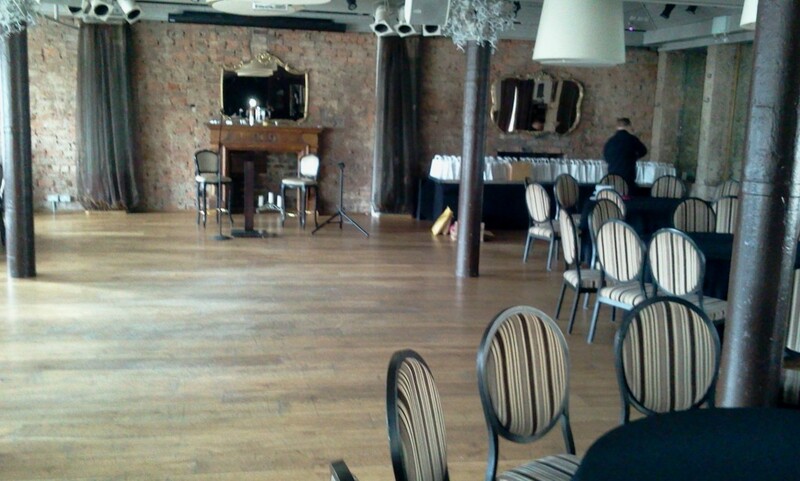 Plans and Presents is a Glasgow, Scotland based Wedding and Event Planning business founded in 2009. As a planner my job is to work with clients to create a stylish and elegant Wedding or Event, letting them enjoy the preparations without the stress. I would also like to thank the Contibutors to the Goody Bags. The yummy Cakepops in the bags were made by Hosanna Fisher of Sweet Everythings – @SweetEvrythings and seem to have gone down really well from what I have heard on the Twitter grapevine. Sweet Everythings is a dessert boutique creating handmade cupcakes, cake pops and confections for our custom designed sweets and dessert tables. The awesome Lyndsey McAuley of Love Created @LoveCreated donated gorgeous little bath treats that made the bags smell completely divine. Love Created is a Handmade natural soap company, Lyndsey uses the finest natural oils & butters to create luxurious soap and bath products that are great for the skin. We were lucky to be gifted by Costa Coffee cards each loaded with £3 of credit from the fab Big Gay Wedding Directory @gayweddingdirec . The Big Gay Wedding Directory is an online directory for Civil Partnerships based in Scotland – but they cover all over UK. 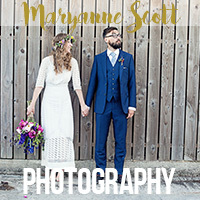 It is a fantastic resource for if you are planning your own civil partnership, stag or hen night, an anniversary, a party, or trips to a local wedding show. And the bags wouldn’t be Goody Bags if it wasn’t for the creativeness of Yvonne Cassells of Angelfins @angelfins Angelfins Wedding Stationery creates the WOW factor for all your wedding stationery without a large price tag. Her designs are created with a love of polka dots, textures and all things that sparkle! I would also like to thank Yvonne for her help in creating graphics for the Event. Karen Harvie of Scentsy @livewicklessuk provided some brilliant little candle samples which made the little bags smell great. Scentsy Wickless Candles are an amazing range of electric candle warmers. Each warmer is flame-free and completely safe. The warmers work in conjunction with the fabulous Scentsy Bars, which come in 80 awesome fragrances! Kullakita cards @kullakitacards provided bespoke Big Fat Scottish Tweet Up popping boxes which were a fun and unique.addition to the Bags. Popping box cards make fantastic wedding invitations. They definitely create an impact and will get your guests excited about your big day. Emma McLaughlin is a cardboard, scissors and sellotape addict and came up with the concept of these fabulous products a few years ago. The fab Best Scottish Wedding Magazine @bestscotwedding kindly provided some of their wonderful magazines for our guests to peruse. Don’t forget to have a look at the lovely feature I am included in starting on Page 127. Thanks ladies! Not forgetting each incredibly generous and wonderful donator of Raffle Prizes. I am so incredibly grateful to each and every one that took time to send me their beautiful products and vouchers for services. We are proud to have raised £830 on the night so £415 to each charity which is an enormous achievement. Further Official Photography, Official Video and Photobooth madness shall be coming soon.